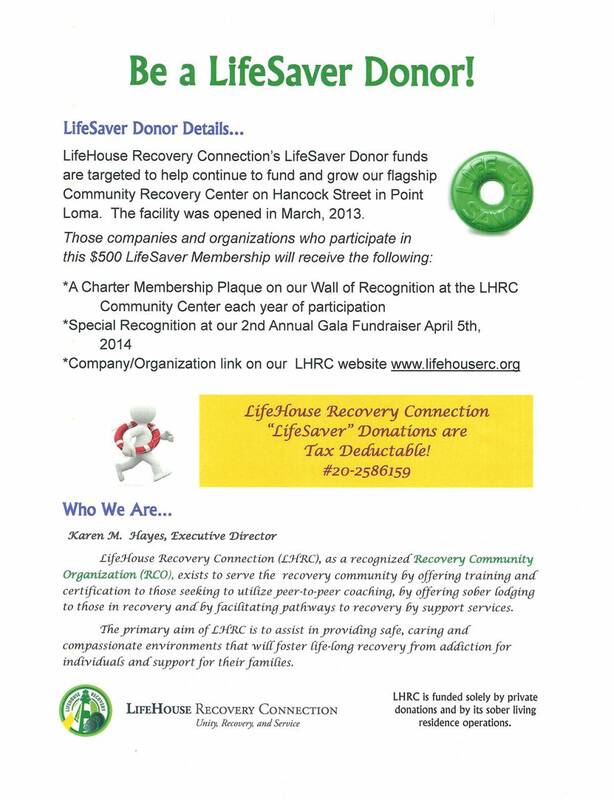 LifeHouse Recovery Connection LIFESAVER CHARTER MEMBERSHIP!! Be an Exclusive Lifesaver Donor. We are Seeking Companies and Organizations Who Would Like to be an Exclusive One of 20 Individuals or Companies to Donate $500 and Receive the Following. A LifeSaver Donor Plaque on our Wall of Recognition in the LHRC Event Room and another for your personal use and Your Company/Organization link on our LHRC website.